With 2 kids and 4 pups of her own, let’s just say Angelique Salazar has a bit of a crazy household. All her life Angelique has loved and owned pups. Taking into consideration everything she wanted for her own dogs, she made the move and opened ULD in 2010. Angelique and her staff want what is best for all dogs, and their owners. Their goal is to make each and every one of their clients feel like they are a part of their family. After working at the daycare since they opened in 2010, on her 5 year anniversary, Abi Mondragon became a Partner of U Lucky Dog. Abi is also the Manager of Operations and is on-site daily, even on the weekends! They want what is best for all dogs, and their owners. Their goal is to make each and every one of their clients feel like they are a part of their family. ULD is a proud member of the Colorado Association of Dog Daycares and is constantly thinking of ways to make U Lucky Dog an even better facility. 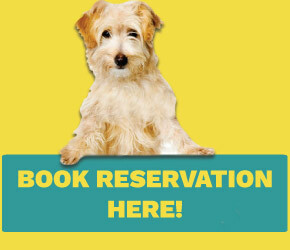 If you would like to contact Angelique or Abi directly, please feel free to email mgmt@uluckydogdenver.com. business hours! Ask us for more details. are the pet care industry leaders in the creation of resources with the goal of keeping all dogs safe. ULD is proud to support the Maxfund with a lifetime corporate membership. Click here for companies that ULD recommends.